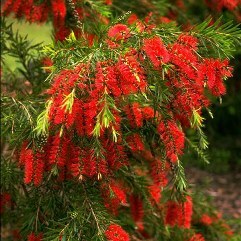 The weeping Callistemon. 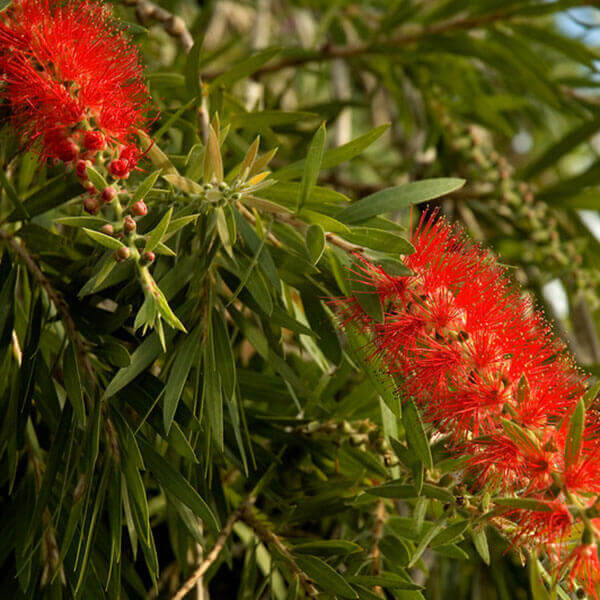 Flowers in spring with a beautiful display of bottle-brush flowers. 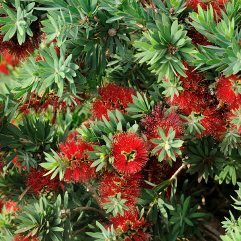 This is a larger shrub which is tough like all Callistemon's and can tolerate extreme conditions. Excellent for screening or just as a garden shrub.